Homes with a rough, bare brick wall and a hanging naked bulb from an exposed ceiling were once signs that unpaid builders had abandoned the building site or that it was still under construction. Now this is a sign that the owners have their finger on the design pulse, blending industrial-style interiors with old warehouse buildings. While this style was purely for inner city dwellings and far from new it has headed into mainstream homes. Well, that changes everything. But making them look glamorous and an easy fit with your style and home can be a challenge. 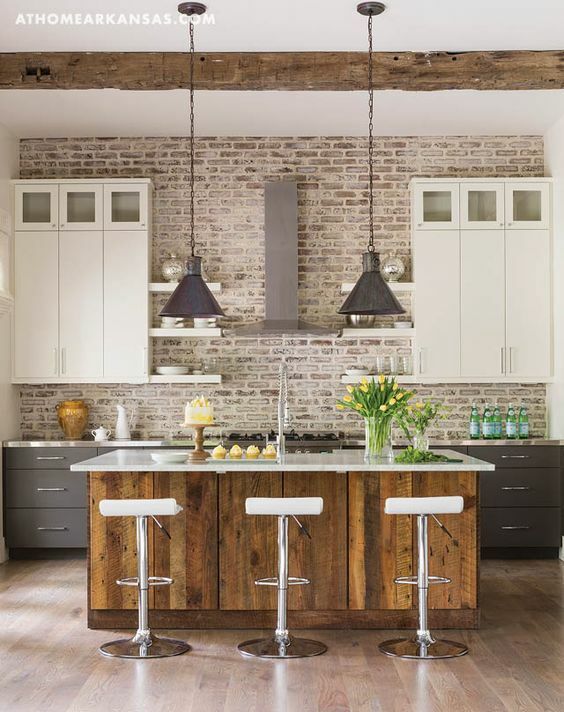 Here are ways to use an exposed brick wall as a feature. 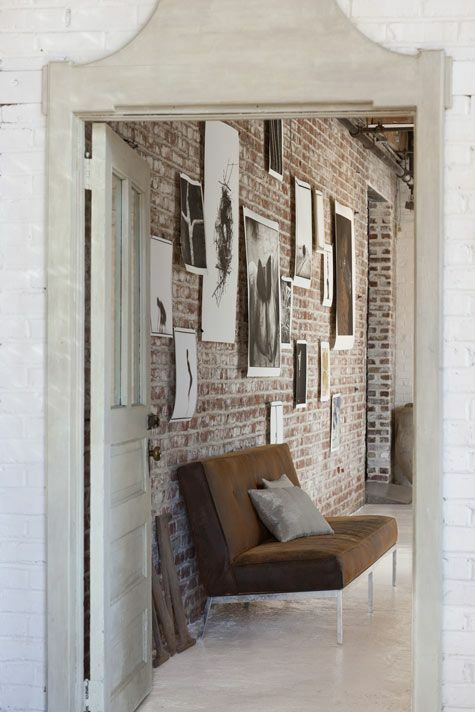 Use the roughness of exposed brick walls as a contrast. Highlighting the texture creates a modern twist especially against flat, shiny surfaces. Brick has an enduring, timeless look. The color and size of bricks are signs of the location they were made and the era. 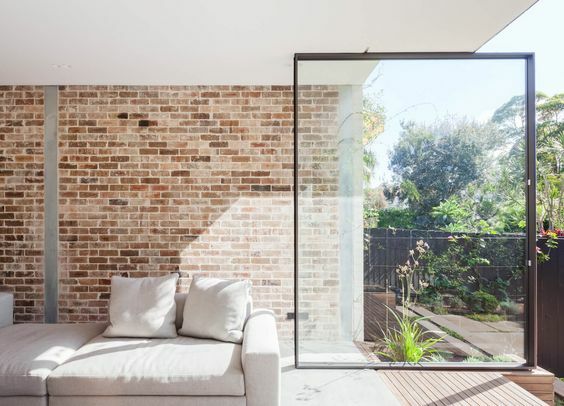 Draw exposed brick into your home adds character that you don’t get with other building materials. Lime washing brick retains the look but adds a softer look to a material that is dense and hard looking. Adding a lime wash solution to brick is not particularly difficult. 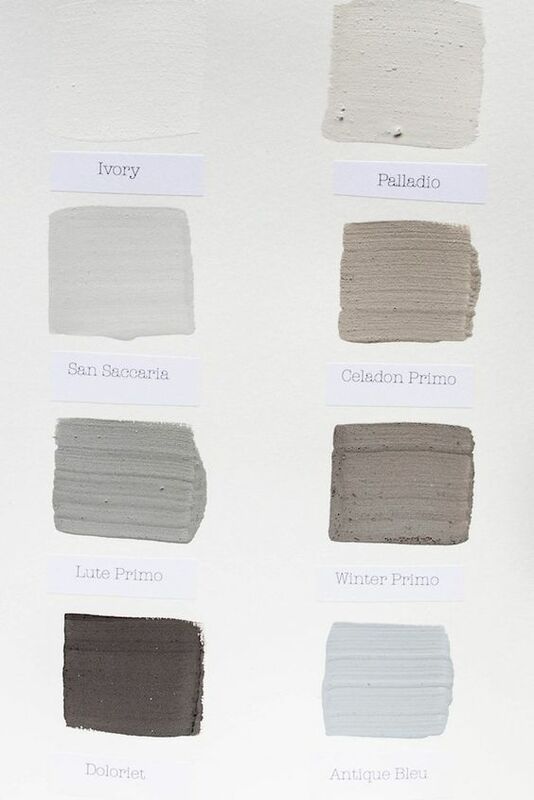 Lime wash comes in an off-white color. But you can add color which come in natural, alkali-resistant pigments such as gray, brown or taupes, soft earthy colors. When you apply lime wash is can look very dark, but it dries 10 times lighter, so test your color choices first. The more coats of lime wash you add, the more opaque it becomes, but always apply thin coats of paint, and only use a brush. Never a roller. 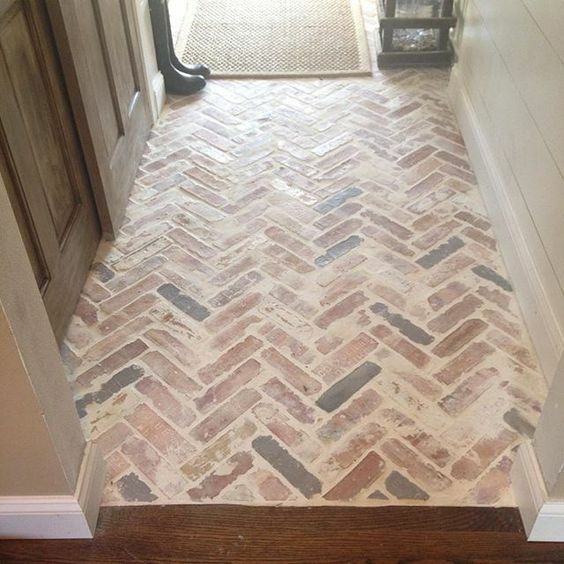 The finished result keeps its original charm of the brick and the softness of the lime wash. Lime wash is not so common in the USA but you can make your own. The German smear technique has been applied to this fireplace above, and the fireplaces below have been chalk painted. Here is a video on the German Smear process. Depending on your preferred look, each one is easy to apply. Chalk paint can be applied thinly to give the appearance lime wash, whit wash or German Smear. The soft chalkiness of chalk paint, gives a soft textured look. 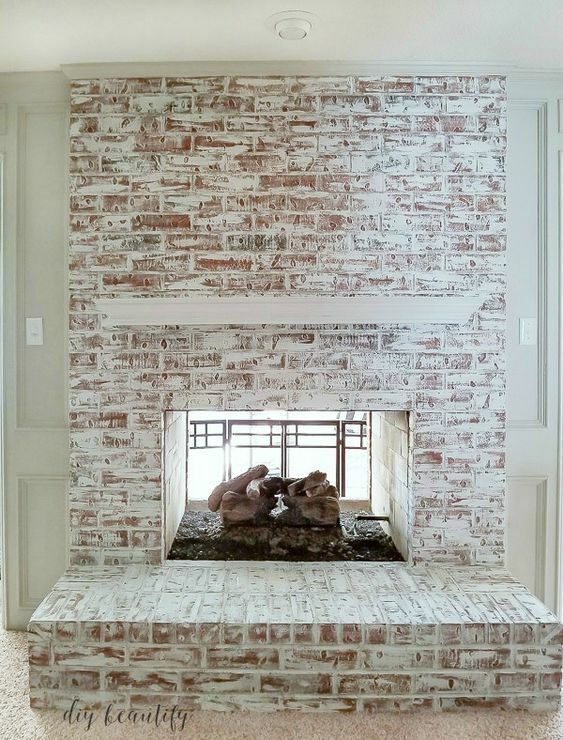 Whether you live in a small apartment or an enormous single-family house, you can add brick to a fireplace, kitchen wall, entry or bathroom. 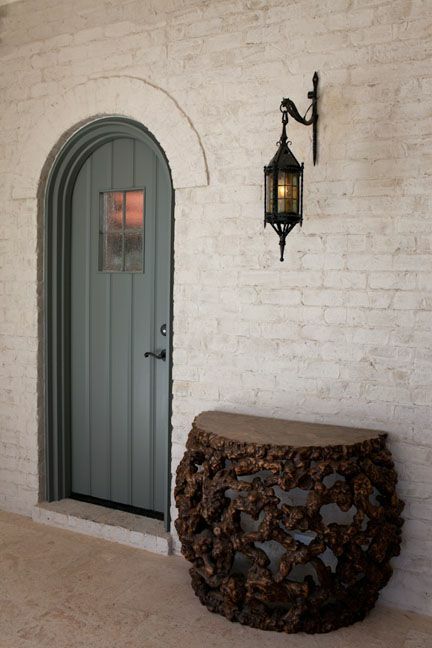 Even a small section of brick can add style to a space, without looking too industrial or like an office block. 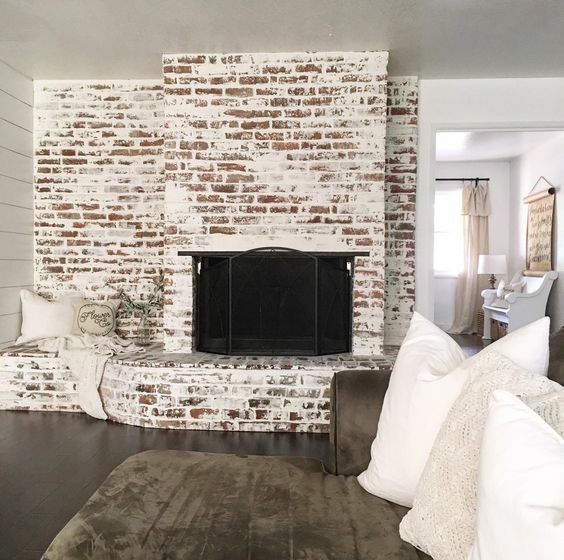 An exposed brick wall can be used to add color or texture to any room or area. Strong contrasts can be diluted by adding color or lime washing. these stark differences give a sense of depth and warmth. 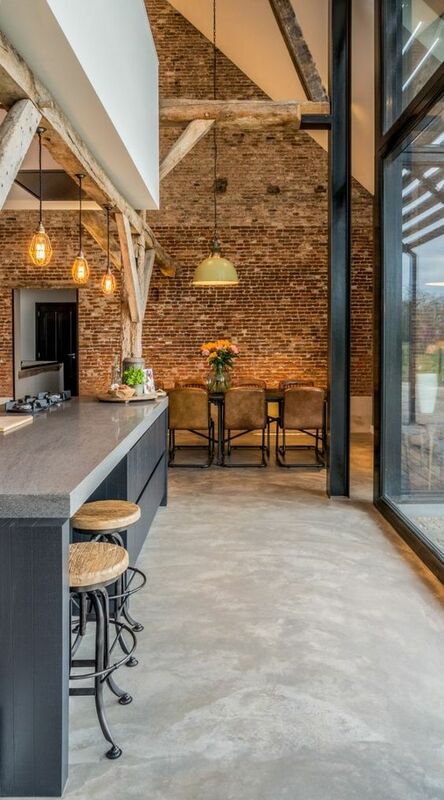 Just like warm wood floors, ceiling beams or wood furniture, brick walls add warmth and contrast with its inviting warm red brick. 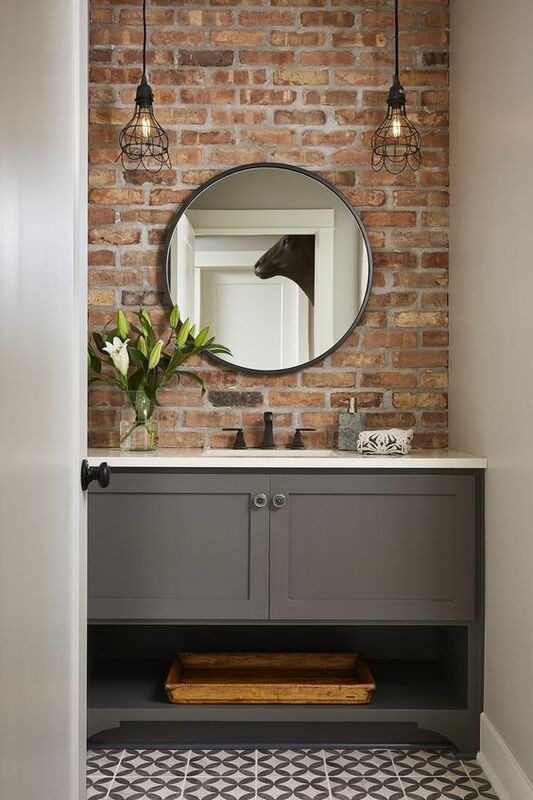 Painted brick walls create surprise without too much additional cost. 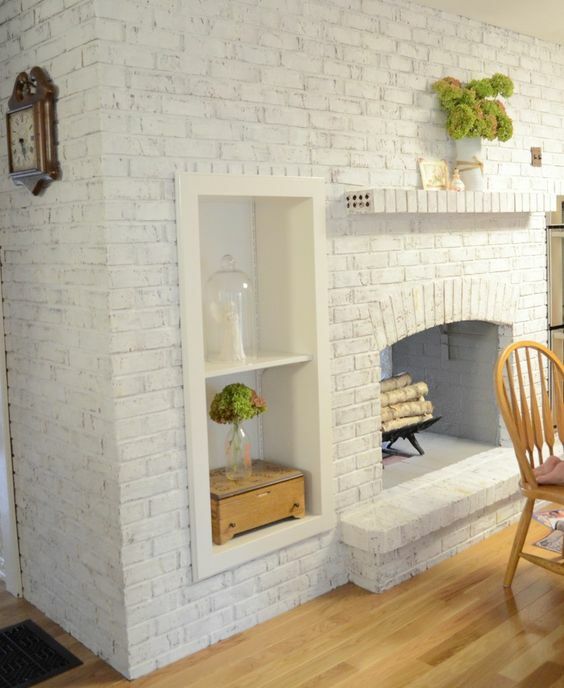 If you love the texture of exposed brick but prefer a cleaner style, paint your wall. This is a good choice for homes with strong architectural styles. 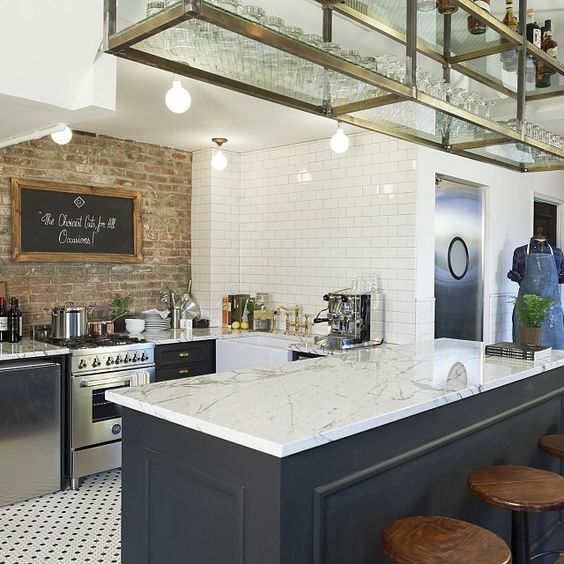 Adding exposed brick to rooms with a lot happening will only make rooms look busy and fussy. 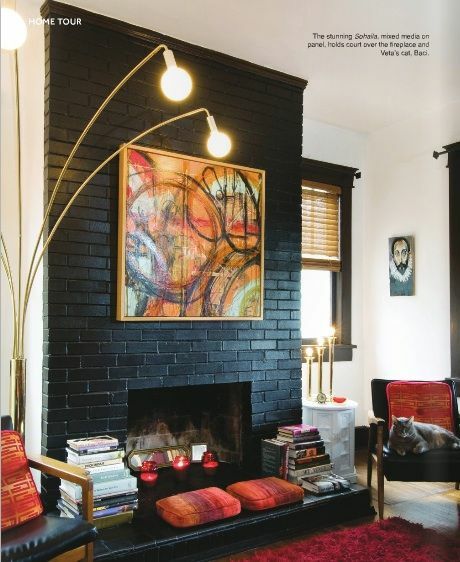 Painting an exposed brick wall a solid color will keep the texture but blend it with the rest of the room. You can use glossy paint if it suits your decor. I prefer flat or semi-gloss white paint and soft muted colors will give you the look without drawing too much attention.